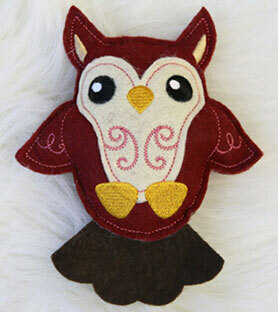 From sweet to sophisticated, this week's new designs are sure to please! 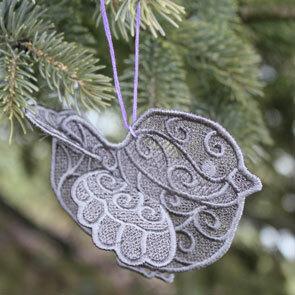 A delightful variety of wintry, woodsy, and oh-so-crafty designs come together in a very special Request Fest. 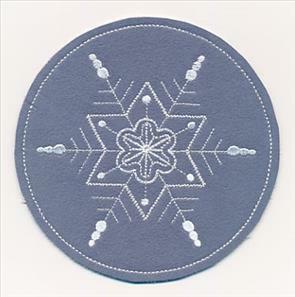 Explore this page to discover all of this week's delightful new embroidery -- birds in winter teacups, craft-themed doodles, days-of-the-week snowmen, icy laurels, animal stuffies, lace birds, and delicate in-the-hoop snowflake coasters. 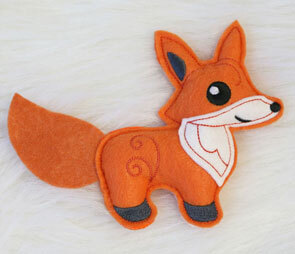 They're just the thing to make your home cozy and creative! 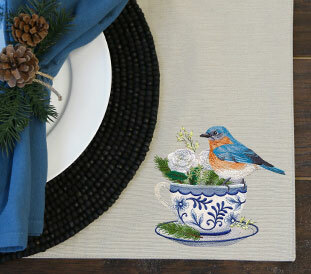 Invite your feathered friends to dinner with charming birds on teacups! 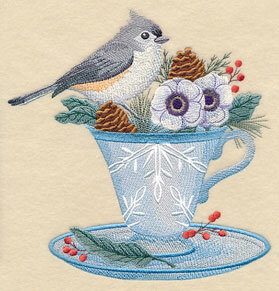 Helen adored the Christmas birds on teacups and wanted to see more to make winter fly by! 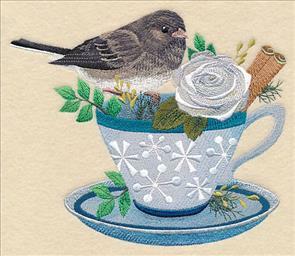 In these designs, a junco and a bluebird perch on coffee cups full of wintry foliage and flowers. 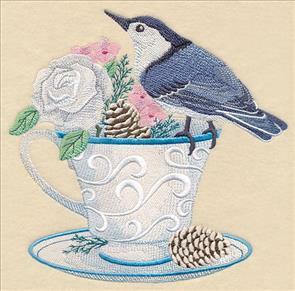 7.62" x 6.89" and 6.44" x 5.84" and 5.35" x 4.86"
A titmouse and a nuthatch play on snowy blue-and-white mugs. 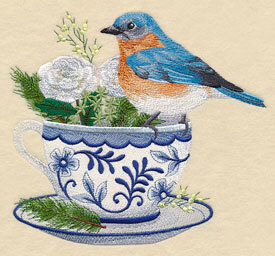 Let them soar onto coffee cozies, terrycloth dish towels, and more wintry projects for your nest! 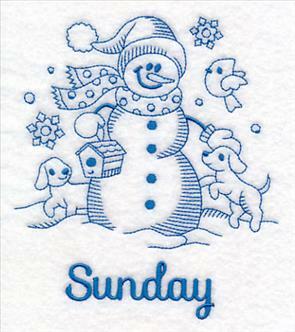 7.79" x 7.60" and 7.07" x 6.90"
5.99" x 5.85" and 4.98" x 4.85"
Simple and stylish, doodle designs are a perennial favorite! 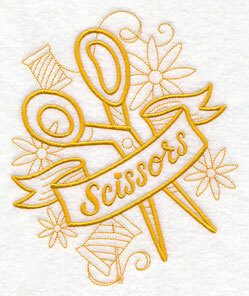 Michelle asked for more crafty-themed doodles, and we're delighted to oblige. 5.86" x 7.03" and 4.86" x 5.82"
5.85" x 6.06" and 4.85" x 5.03"
3.71" x 3.85" and 2.88" x 3.00"
Craft a place for everything, and put everything in its place, with this Pretty Pocket Wall Organizer! 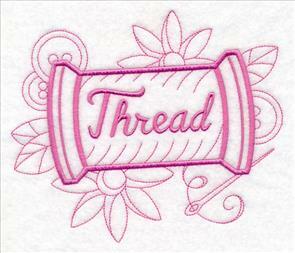 Each pocket is the perfect place to display a favorite embroidery design. 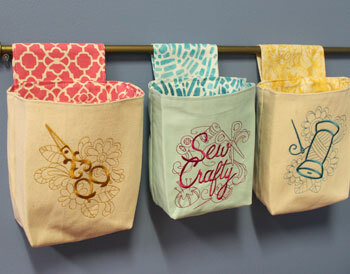 Stitch up several pockets, then slide them onto a curtain rod to hold all your tools and supplies. 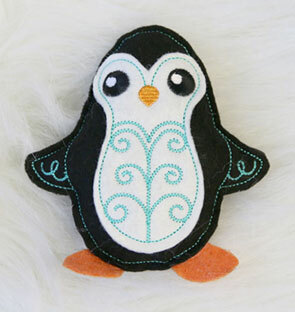 This week's new tutorial will show you how to stitch your own simple and stylish organizer! 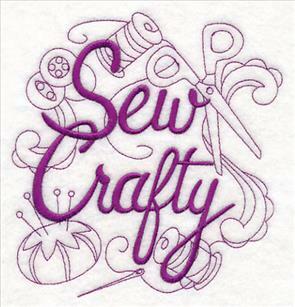 Stitch these "Sew Crafty" and "Thread" designs on sewing room decor to celebrate your inner creativity! 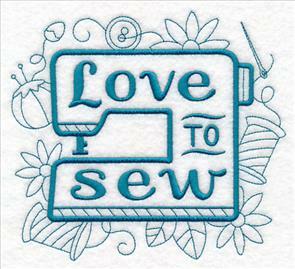 6.80" x 5.85" and 5.64" x 4.85"
3.85" x 3.31" and 3.00" x 2.58"
Share your love of crafting with the world! 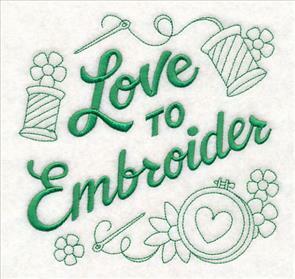 Light-stitching designs showcase sewing and embroidery, perfect for tees, sweatshirts, and more. 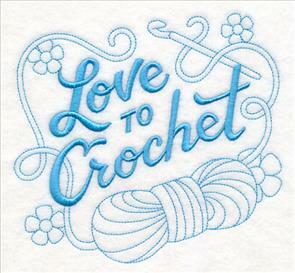 6.43" x 5.85" and 5.32" x 4.85"
6.12" x 5.85" and 5.07" x 4.85"
3.85" x 3.68" and 3.00" x 2.86"
Do you love to crochet and knit? 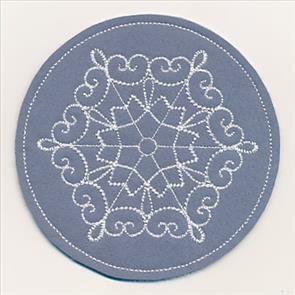 Embroider your favorite hobby with light and open, one-color designs that will stitch in a flash! 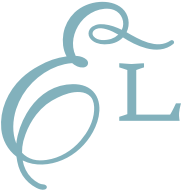 6.34" x 5.85" and 5.25" x 4.85"
6.28" x 5.85" and 5.21" x 4.85"
3.85" x 3.58" and 3.00" x 2.79"
Piece your project together with this cute "Love to Quilt" design, framed by tools of the trade. 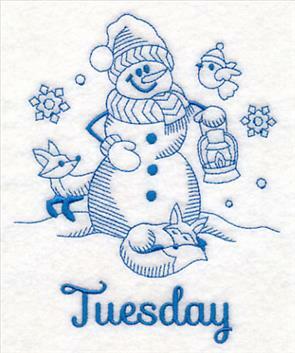 5.85" x 5.95" and 4.85" x 4.94" and 3.78" x 3.85" and 2.95" x 3.00"
Suzanne loves dressing up her kitchen with days-of-the-week towels, and these new snowmen are just the thing to craft a little joy for each winter day. 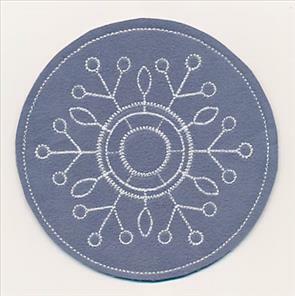 A twist on classic redwork, these cute bluework designs are sure to bring smiles wherever they go! 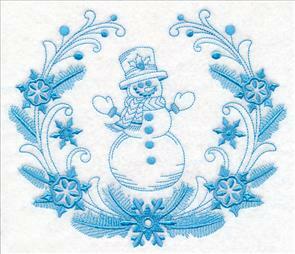 4.85" x 5.57" and 3.35" x 3.86"
Embroider the designs on a set of kitchen towels, and let them parade through your home all winter long! 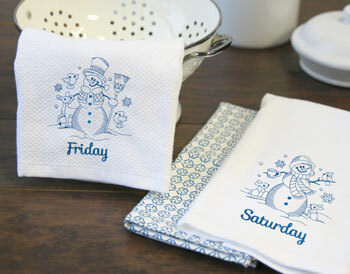 Check out our instructions and videos for stitching on tea towels and floursack towels to learn tips and tricks to get great results on these kitchen classics. 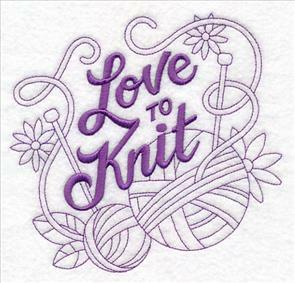 Stitch up a set for yourself, and for friends and family -- they'll make a great gift! 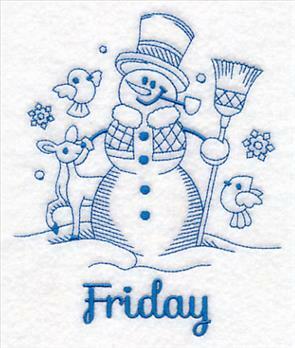 4.85" x 5.50" and 3.40" x 3.86"
4.85" x 5.53" and 3.38" x 3.86"
These frosty friends are best together on a set of seven sweet towels. 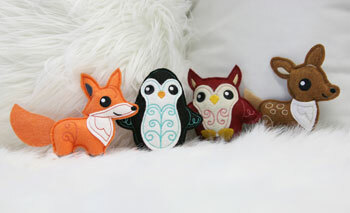 Get them all now in a design pack -- regularly priced for $10.97! 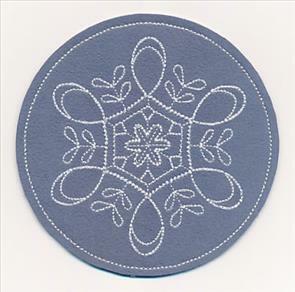 Craft a regal winter look with these lovely laurels, requested by Lois. 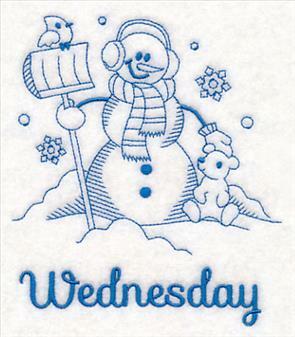 Snow and swirls frame an intricate snowflake and a cheery snowman. 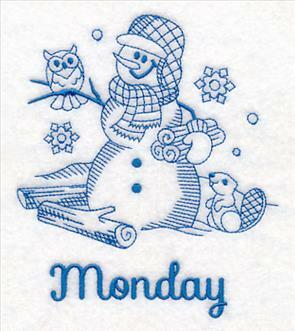 Delightful on shirts, tea towels, and pillows! 7.80" x 6.72" and 6.79" x 5.85"
7.81" x 6.59" and 6.92" x 5.84"
5.74" x 4.84" and 3.86" x 3.25"
Craft a woodland party with these cute-as-can-be stuffies, requested by Mary! 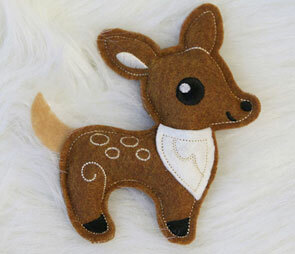 Stitch up a fox, penguin, owl, and deer in-the-hoop, then fill with stuffing to bring your adorable creatures to life. 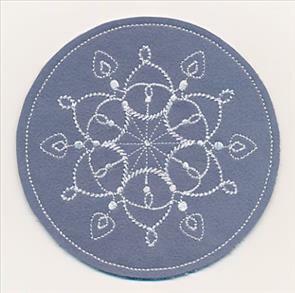 Follow our step-by-step instructions to see how to put these sweet designs together. 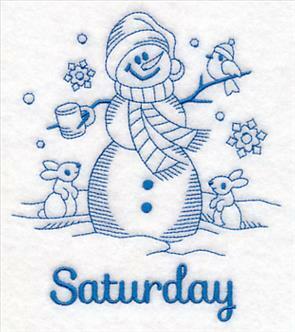 5.22" x 4.85" and 3.87" x 3.59"
4.85" x 5.51" and 3.42" x 3.88"
Winter is for the birds! 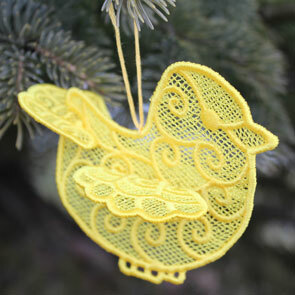 Karen loved the lace cardinal and wanted to add more to her flock. 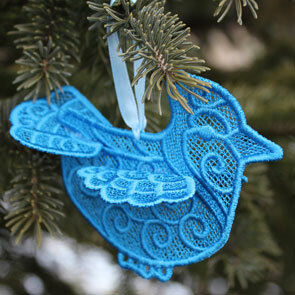 A blue jay, chickadee, and goldfinch will look lovely hanging in a window, bringing a bit of color and joy to each winter day. 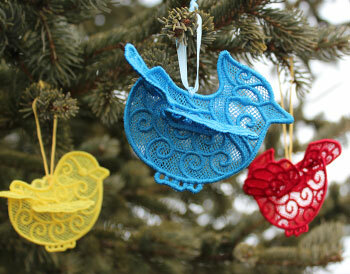 Our simple instructions will show you how to assemble your beautiful birds! 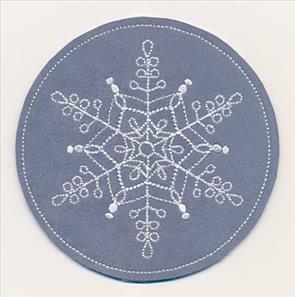 3.87" x 3.50" and 3.03" x 2.75"
3.87" x 3.51" and 3.03" x 2.76"
Diane was so in love with the Snowflake Fancy designs that she asked for a frosty set of coasters to match! 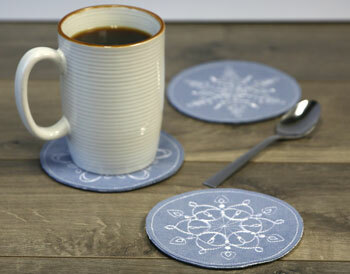 Stitch up a flurry of these coasters for yourself, and for family and friends. 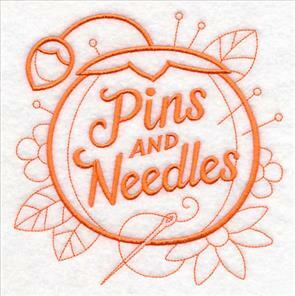 Our step-by-step project instructions will show you how it's done! 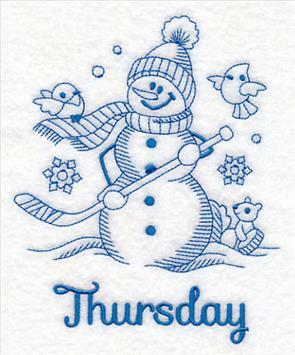 4.85" x 4.85" and 3.85" x 3.85"
4.84" x 4.85" and 3.85" x 3.85"
4.84" x 4.85" and 3.84" x 3.85"
Stitch up a whole blizzard of these cute coasters to adorn your home for winter. Get them all now in a design pack -- regularly priced for $9.97! 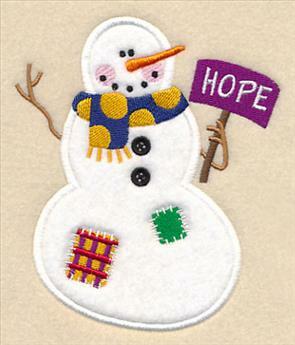 Julie requested a "Hope" snowman to join the "Peace," "Joy," and "Love" applique designs, and we're happy to provide! 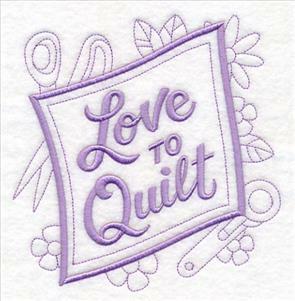 Julie plans to stitch this adorable quartet on a wall hanging. 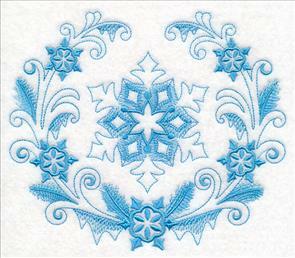 Let them charm on towels, pillows, sweatshirts, scarves, and more wintry projects! 4.64" x 5.45" and 3.30" x 3.89"